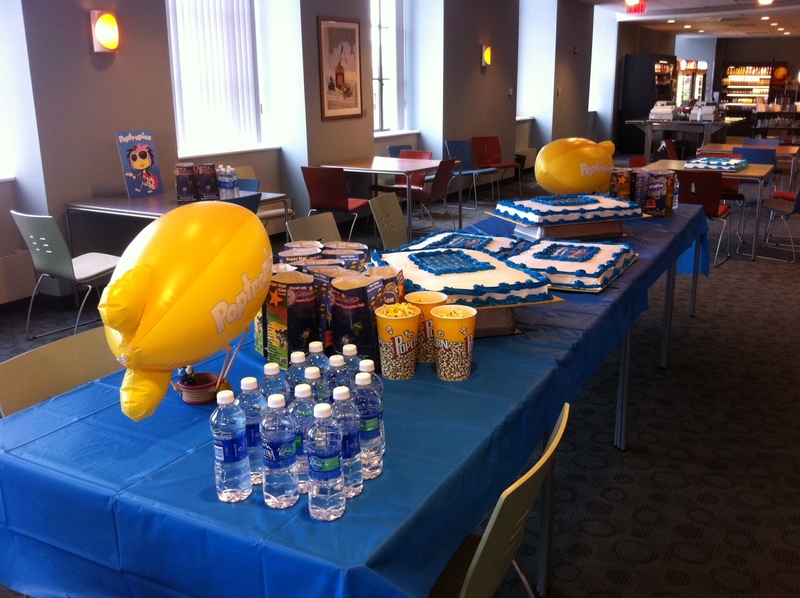 And wait a minute, is that… Poptropica CAKE?! O: Looks AWESOME. But you know what they say, “every day is a party when you play Poptropica”! Now go get him! Hmm…. there were multiple cakes. Were there a lot of people? Did they all work on Poptropica? Is that some kind of lounge? Where is it? And, most importantly, what IS that stuff next to the popcorn? The stuff by the popcorn is the Carl’s Jr. kids meals that were giving poptropica toys a while ago. (Trust me, I went their to get the toy and code before someone put it online) I guess it is a lounge, but I don’t know.I think their headquarters is in Logan,Utah (I live close to their!) because when they put a picture of the toys at Carl’s Jr. it said carlsJrLoganUtah.jpg. Second because of the Dr. Hare’s travels thing, one of them was at Lagoon (which is awesome) and that is close to Logan. I think they have at least 4 headquarters, but their main one is in Logan. Party Rock is now stuck in my head 😀 Cool cake! What in the name of chocolate cheesecake have I been missing?!!!!! mmm…. cake….. THEY HAVE TO INVITE ME TO THEIR PARTY!!!!! BTW, Party Rock Anthem is a really good song. I like the background music in it. 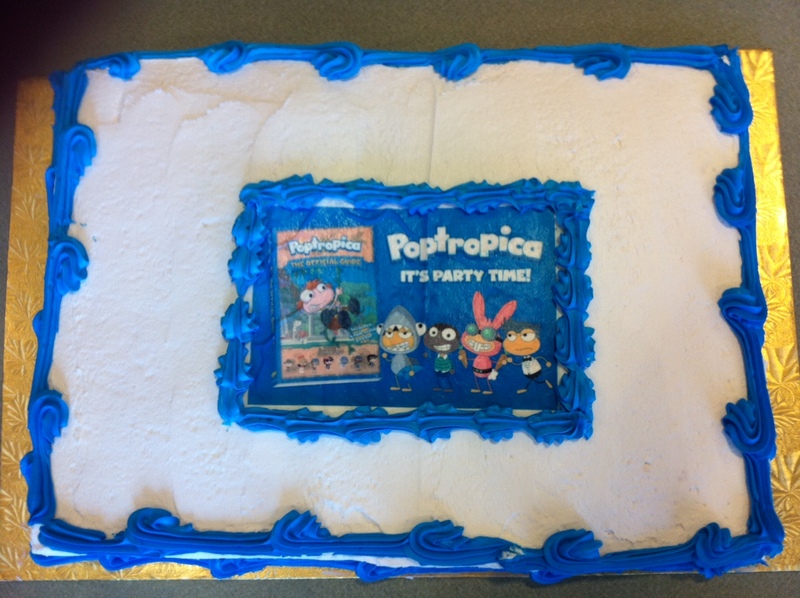 I LOVE CAKE AND POPTROPICA!!!!!! !